Laugh, empathise, sympathise, and often be brought to tears. Prepare to become involved on a very personal basis. Based on many different aspects of one family's life situations, Not the Body takes you from the happy birth of a precious baby down through the dark and sinister dealings of the police and government in general-a miscarriage of justice and corruption in high places. 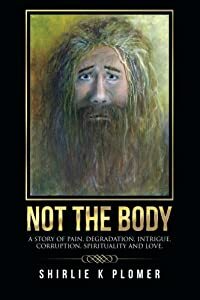 While it is an exposé of lust, graft, and greed, it is also a love story of great depth and contains humour and happiness with an underlying spiritual message that fortifies the inner souls of innocents caught up in a horrifying, dehumanizing crime. Not the Body is a spellbinding read for those who love a story that truly engages all their senses. WINNER! 2015 & 2016 INTERNATIONAL GOLD MEDAL FOR TRUE CRIME! TWO YEARS IN A ROW! 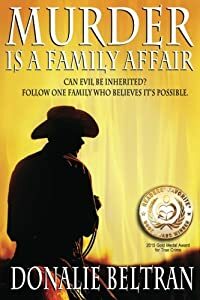 CAN EVIL BE INHERITED? FOLLOW ONE FAMILY WHO BELIEVES IT'S POSSIBLE! Some stories just have to be told and so it is with the Tuxhorn family. Murder Is A Family Affairfollows August Tuxhorn to America in the mid 1850s where Charles was born in Illinois. The boy grew up with a beautiful face and a stone heart. Evil set in motion by his grandfather and then his father, Charles carries on the family's violent temper and disregard for human life. Did he inherit these traits shared by others? More important, did he pass them on? Follow their lives and watch the carnage they leave behind. Many lives were lost or destroyed in their wake. After particularly gruesome murders, Charles Tuxhorn disappeared into thin air. How? Pinkerton looked for him around the world, but couldn't find him. Where did he go? Is this the last of the evil? Hero to Zero is a finalist in True Crime in the 2015 Readers Favorite International book awards contest. Hero to Zero is a finalist in the 2015 Chanticleer Clue book awards contest. Two unforgettable names; one tragic case: how are Jeffrey Dahmer and Adam Walsh related? 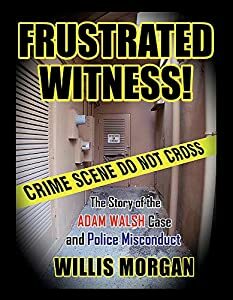 In Frustrated Witness, Willis Morgan details the mountain of evidence that points to America's most notorious serial killer as the real murderer of Adam Walsh, whose 1981 disappearance and subsequent murder inspired his father, John Walsh, to channel his rage into becoming the crime-fighting host of the popular TV show America's Most Wanted.In a Hollywood, Florida mall in 1981, the author encountered Dahmer near the time and place little Adam was abducted. This encounter sparked a theory that consumed well over three decades of the author's life. He has appeared as a witness both on television and in print. In 2010 he filed a lawsuit against the Hollywood Police Department, Florida State Attorney's Office, and one of the detectives involved in the Adam Walsh case. As much as it is a case for Dahmer as Adam's murderer, Frustrated Witness is a study of how the HPD conducted the homicide investigation, becoming the greatest ally and defender of the man who would go on to become infamous for the murders he committed. Packed with charts, diagrams, photos, and letters, this is the most extensive collection of records to date of the Adam Walsh case. “Bloody Chicago” was the name given to America’s most corrupt city after the grotesque scene that left seven humans embedded into masonry walls and oil-slickened concrete. Two Thompson submachine guns did the majority of the damage but the masterminds behind the St. Valentines Day Massacre escaped. Ten months later on December 14, 1929, St. Joseph, Michigan Police Officer Charles Skelly working a routine traffic crash came face to face with a killer. Shots were fired, the assailant escaped and the dying Officer Skelly identified his murderer before taking his last breath. The trail led to a home in Stevensville, Michigan where authorities found an arsenal of weaponry, over $300,000 worth of stolen bonds, bulletproof vests, and two Thompson submachine guns. The hideout belonged to Fred Burke, a highly sought suspect in the St. Valentine’s Day Massacre and now the most wanted man in the nation. The “backwash of bloody Chicago” had made its way into the rural neighborhoods of Southwestern Michigan and Northern Indiana. 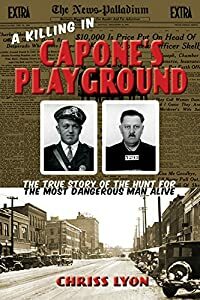 Citizens who turned a blind eye to crime, helped create “Capone’s Playground,” an environment abundant in all that is illegal and immoral. Using never before published police reports, interviews with family members of key witnesses, and leading experts, historian Chriss Lyon establishes the foundation for what would develop as a haven for gangsters from the onset of the Prohibition Era through to the mid-twentieth century, while revealing new information about the eventual capture of notorious gangster Fred “Killer” Burke. 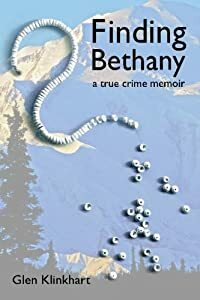 “You don’t have to have a murdered sister to be a good homicide detective, but it helps.” Finding Bethany, a best-selling Alaskan book, is a behind-the-scenes true crime memoir of murder and justice in the Last Frontier of Alaska. Finding Bethany is the true story of how, as a young boy, Glen Klinkhart was unable to save his sister from a heinous sexual homicide, and how he began his journey as a police officer to find the lost, the missing, and to bring those who would do evil upon others to justice. 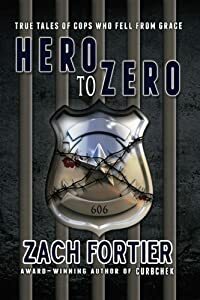 His career as a homicide detective takes the reader along as he travels from the brink of exhaustion and obsession and into the dark and evil world of sociopathic killers, and those who would do anything to help them.Finding Bethany details what real life homicide investigations are like, from his unique perspective as a victim and as a reluctant hero. 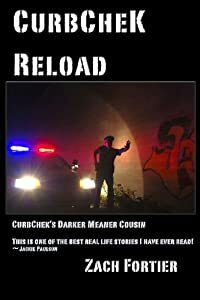 The reader will experience the bizarre twists and turns down dark paths which result in macabre dead ends, and unexpected miracles found within the darkest of circumstances. 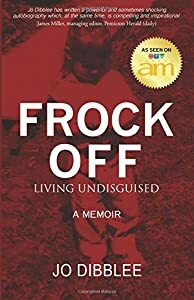 His cases include the stories of people who were willing to give of themselves for someone they often didn’t even know. Finding Bethany is also about two brothers – one a sociopath, the other a good man whose own love for his evil brother had been exploited his entire life. 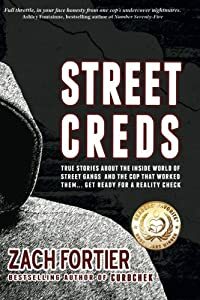 StreetCreds has been awarded a Gold medal in the 2014 Readers Favorite International book awards contest in the true crime genre. StreetCreds is a finalist in the 2015 Chanticleer Clue book awards contest.